“As a longtime supporter of the AFM Local 47, I’m always looking for ways in which we can help our cause as musicians. This weekend is our 24th annual Labor Day Parking Lot Piano Sale. Everyone who purchases a piano and mentions Local 47, we will to donate 5% of each sale to Local 47! 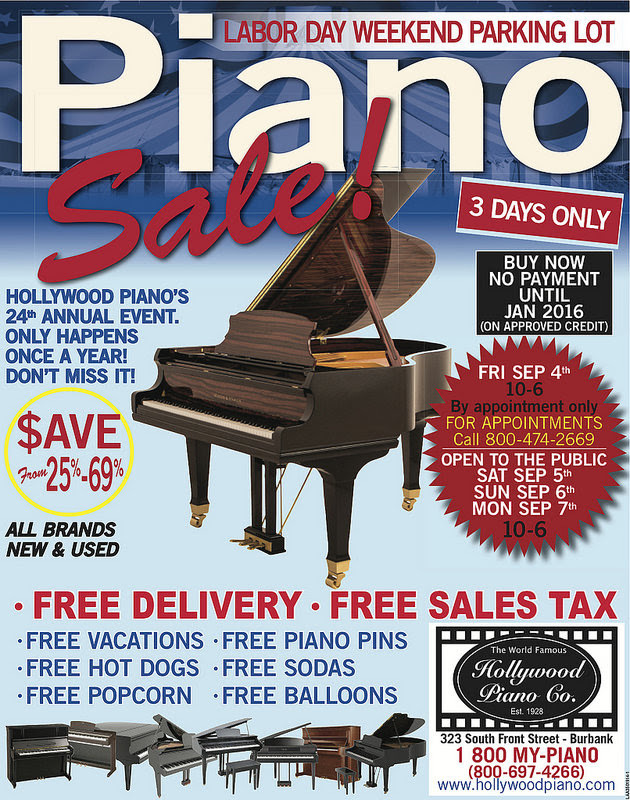 This entry was posted in All News, Events and tagged fundraiser, Hollywood Piano Co., pianos on September 3, 2015 by admin.